There’s a magical isle of ancient fossil filled limestone, scattered liberally with ancient hand carved monuments of stone. It sits just east of mainland Spain washed by the turquoise blue of the Mediterranean waves and gentle tides. Baked beneath 4,000 years of hot Spanish sun, these rocks evoke a sense of the ancient people of this isle, who washed, worshiped and baked bread among these stones. 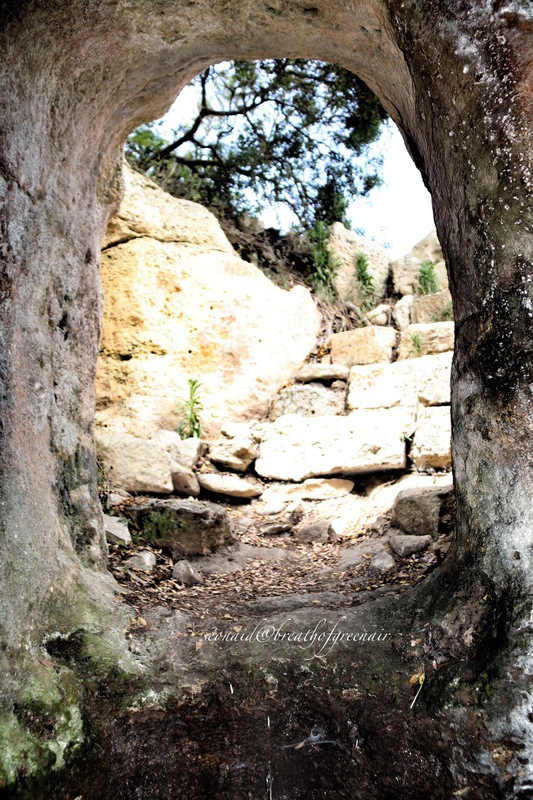 At this site, ‘Torralba D’en Salord’ which translates roughly as the white stones of Salord, a bronze bull and statues of the Punic goddess Tanit were discovered still resting beside a stone altar as they might have done for thousands of years. Here among golden grains, whispering into the sun filled breeze, this ancient Phonecian goddess was worshiped by this famous and far reaching race of sea faring merchants. Phonecian merchant ships plied their goods all across the Mediterranean Sea for thousands of years before Christ was born, even establishing routes to Britain, up the east coast of Ireland and the west coast of Britain. Beautiful jewellery, wine and glass from the warm shores of the Mediterranean are still being discovered scattered up long forgotten rich trading settlements of western Scotland. Perhaps these goods left from these very shores, after the merchant had invoked the blessing of this goddess, among these white stones. Tanit was a moon goddess of grain and fertility, a virginal mother, a heavenly goddess of war and consort of Baal. Linked with Ishtar, she originated just across the waves in Carthage, North Africa, in modern day Tunisia. But the people who raised these hand shaped rocks were here before the name Tanit was ever whispered. 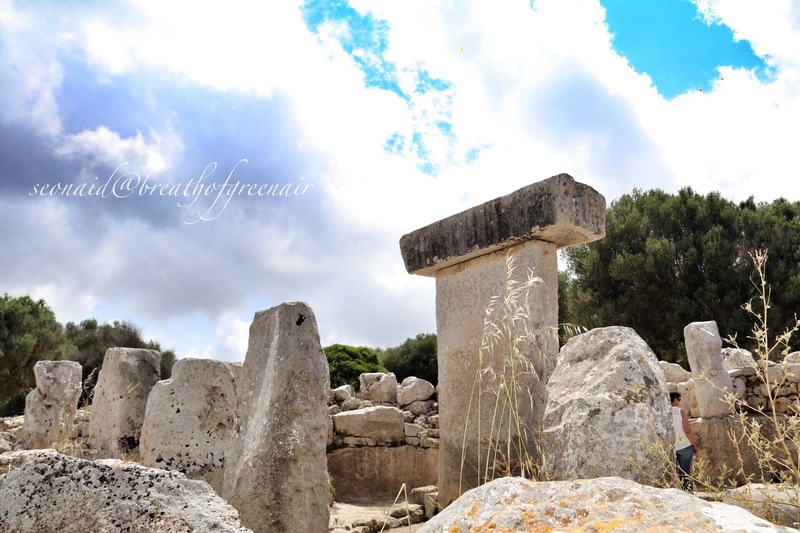 Found only on Minorca, these evocative T shaped monuments are found all across the heart of the isle. They are enclosed within limestone walls to form a shrine called a Taula, which is unique to this island. As new waves of people washed through they brought their gods and added them to the already ancient holy sites. They built their homes into a village which surround the holy ground, and kept goats and sheep and threshed grains of wheat and barley. It’s not hard to imagine them going about their daily lives as you walk through the ruins they left behind. There are also hand chiseled burial caves within the village, with some houses being built over old ancestral caves. These were communal tombs where burial rites were carried out, and bodies were laid out to decompose, before the dried bones were added to those who came before them. They feel like comfortable intimate spaces where the ancestors were loved and honoured. The layers of history here are tangible, emerging in layers beneath your feet as you wander among the stones and bones of people whose lives were over many millennia ago, and yet who have influenced the far away, less sun washed isle of Britain. They roamed far across the ocean waves to trade, and came back here to these villages to live and love their families in ways we might find surprisingly familiar. 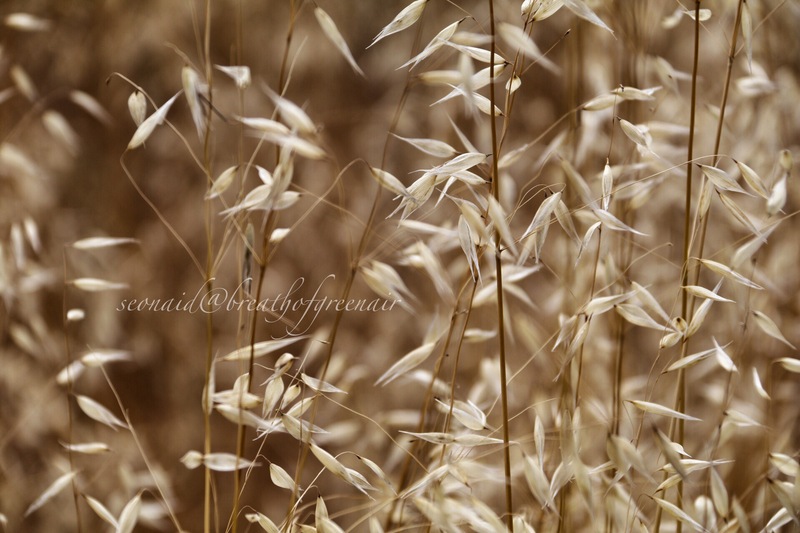 The breeze stirs the golden sea of oats and butterflies dance upwards into the blue cloud filled sky. Sights as old as time itself. Find these atmospheric ruins near Alaior, sign posted off the Me-1, main road between Mahon and Ciutadella, on the isle of Minorca. North of the popular beach of Son Bou, there is a 4 euro fee. 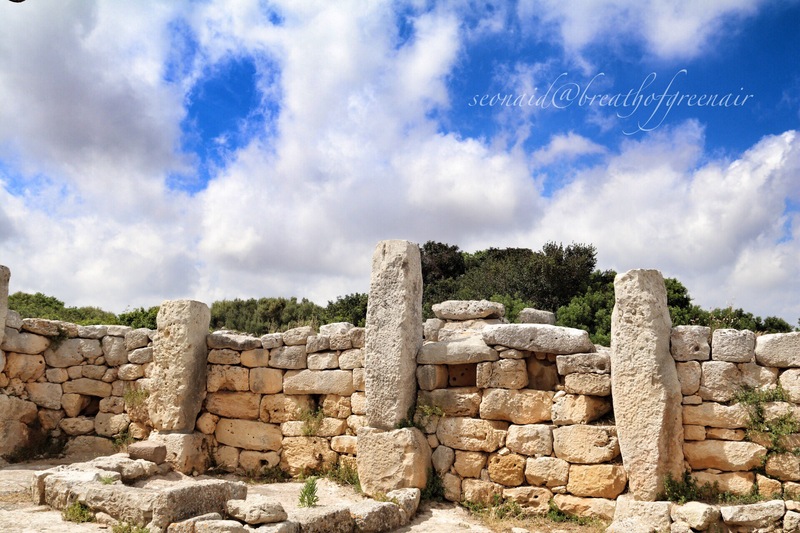 This entry was posted in ancient sites, mythology, travel and tagged ancient, goddess, history, mindfulness, Minorca, mythology, Phonecian, ruins, stone monuments, Tanit, Taula, Torralba D'en Salord, travel. Bookmark the permalink. This is a truly picturesque and awe-inspiring place! I would love to go there and hike. Would you recommend the place for hiking? Yes, it’s a beautiful island for walking, with lots of unspoilt nature. There are lots of horse trails used by the locals which are good for walking. Best to avoid the highest summer temps for walking by visiting in May/June or September/Oct for walking. The island is littered with very ancient sites and stunning beaches in rocky coves. Looks so fun! thanks for adding another great place to visit on my bucket list. Enchanting – and perhaps enchanted! Lovely shots. It is amazing. We still have the same needs, though. As long as our needs don’t change in thousands of years, maybe our behavior won’t either. It looks like such an interesting place .. Wonderful images, steeped in history. Love your story ..
Amazing how something old and ruined still has a charming beauty that we can all marvel today. Such phenomenal pictures and history. I almost feel as if I can fall back in time walking through the stones with you. Did you intentionally decide to vacation in a historic area? I so LOVE the wealth of history you have in Europe and the U.K. Thanks for sharing! It’s a return trip to a much loved island……of all the Balearics it’s the peaceful one, rich in history, lush and green with natural unspoilt beauty….and some delicious cheese and beef. The British once ruled here and they brought Friesian cows and built gin distilleries!! I like a good dose of the Goddess, Tanit, Ishtar, Asase, Durga, Artemis, they’re all the same aren’t they? You already know I love this post! It’s a beautiful island, from what I’ve seen in photos, Seonaid. 🙂 Still there, or home again? 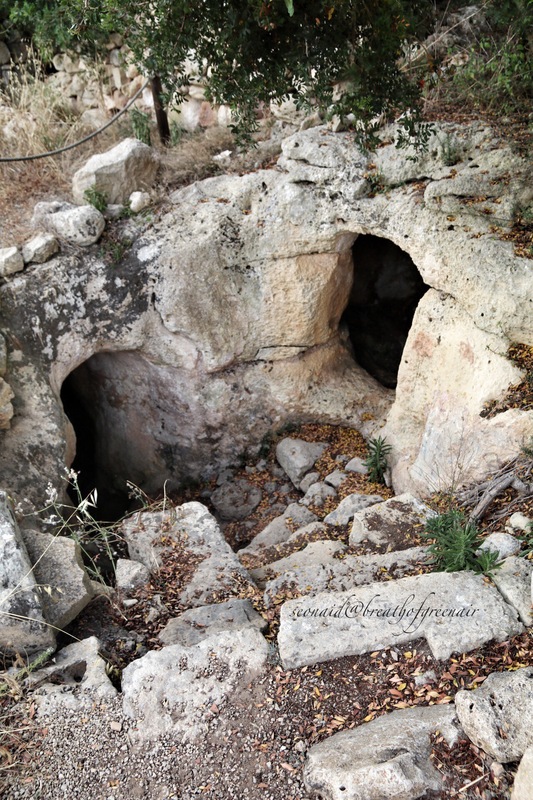 Those burial caves are fascinating; well, the history is fascinating. Thanks for the info to go along with your excellent shots. Such intresting information and such beautiful photo’s Loved the one with the steps down to the burial caves. Thanks Sue, I do love a dose of history, and this is a fascinating island. We had to use the light on the mobile phone to light our way into the caves…all very exciting!